At any mechanical production facility, oil, emulsions, chemical solutions and water must constantly be vacuumed up. This can save money if these liquids can be filtered and re-used. Regular use of vacuums from the OIL series not only performs maintenance of the machine tools but also means great savings. Constant coolant filtration meanwhile prevents bacteria proliferation. Cut time dedicated to cleaning and maintaining machinery and the surrounding areas. 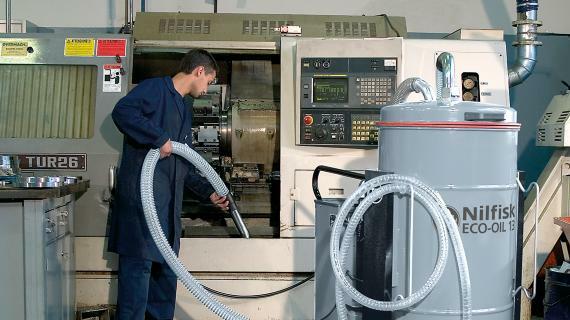 An industrial vacuum is the most appropriate tool for removing metal shavings from machine tools after each work cycle. This operation keeps machinery in perfect working order, reduces downtime and guarantees maximum product quality, saving on costs. 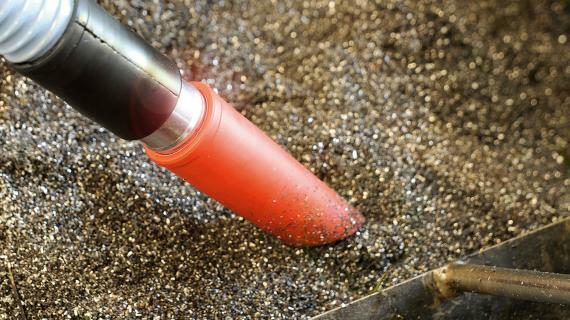 Nilfisk offers the ideal solution for vacuuming precious metals in order to recover every single shaving or speck of metal while it is being machined. Companies that use Nilfisk vacuums are able to recover every single particle of metal sucked up, thanks to the dedicated filters. This means that the vacuum pays for itself very quickly.